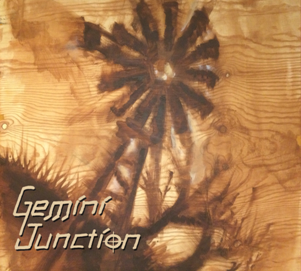 Gemini Junction is JT Moring, Annie Rettic, and Richie Strell. We have a good old time playing a mix of acoustic American roots music. Lots of fiddle, harmonica, guitar, and banjo, with side helpings of kazoo, spoons, mountain dulcimer, and what-have-you. We play original music, and bring old songs into the new millennium, sometimes kicking and screaming. Our debut album launches in 2016 and features the following songs. Pallet on the Floor. Our take on the old bluegrass tune. Come to Find Out. From back when Annie was angry, with lots of bluesy energy. The first of several songs powered by Jimmy Brennecke's percussion. If It Hadn't Been For Love. Richie nails the Steeldrivers' song. Watching the World Go By. Featuring excellent piano from Barry Brown and amazing whistling by Ian McCartor. Strange Sound. Our first song to feature dual kazoos. Reno. A rollicking Richie original. Catfish. You know Richie's blues name is Catfish, right? Gold Watch and Chain. Annie does the Carter family golden oldie. With 3 and 4 part harmonies. Skillet Good and Greasy. 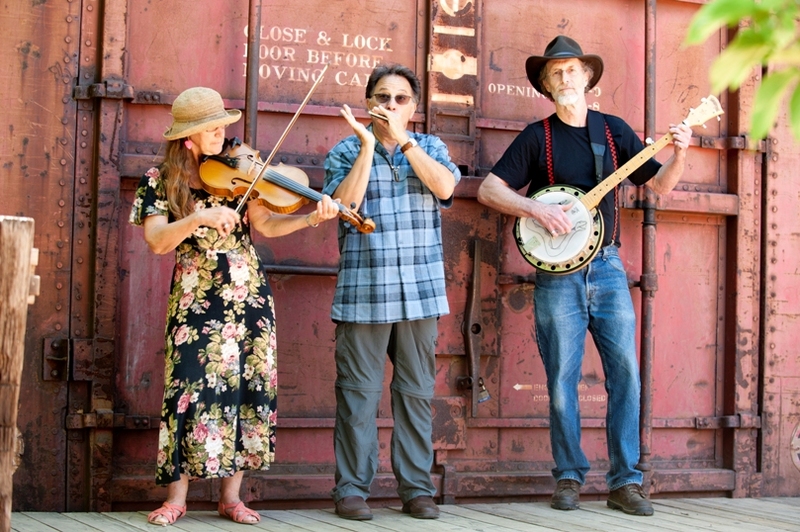 With banjo, spoons, and jug under the harps and fiddle, what's not to like? Never Coming Back. We got Mike Bradley to come in and play some JJ Cale slide guitar here. Nice! This Land Is Your Land. We reworked this from the Kids Ride Free album. Because you can't go wrong with Woodie Guthrie. Backpage of the Troubadour. Our appreciation of the San Diego Troubadour magazine and all its friends. Because Cover of the Rolling Stone was taken. In 2015, we produced the Kids Ride Free album, before we had settled on the Gemini Junction name. Lots of fun stuff there.